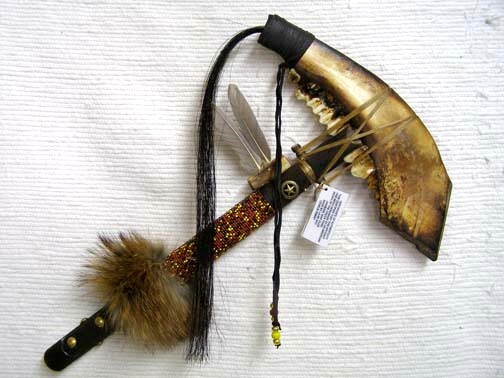 This war club resembles a tomahawk & is made from a genuine buffalo jawbone. 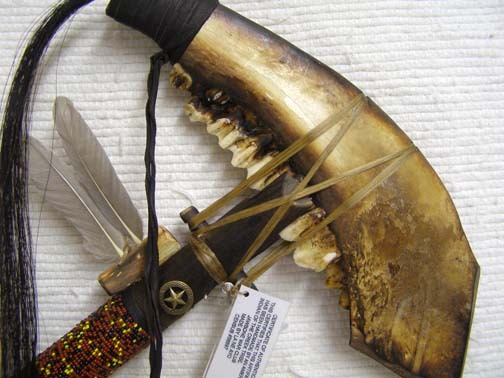 It’s created by popular aartist La Ne Ayo of the Creek people. 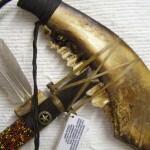 La Ne Ayo items are highly sought for the quality & workmanship. 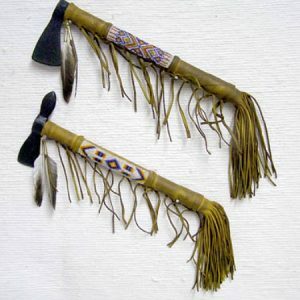 Each one of these tomahawks is hand shaped & hand finished or stained. 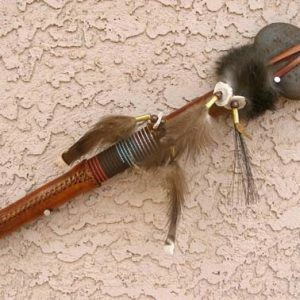 They feature some colorful seed bead work on the shaft bound by buckskin leather, brass tacks, feathers, horse hair & a small talisman. 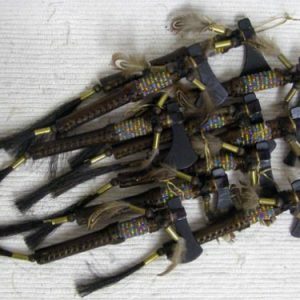 Leather color, decorations and feathers will vary. 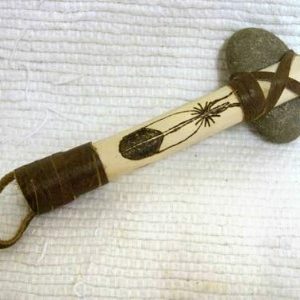 This item measures about 18″ in length.